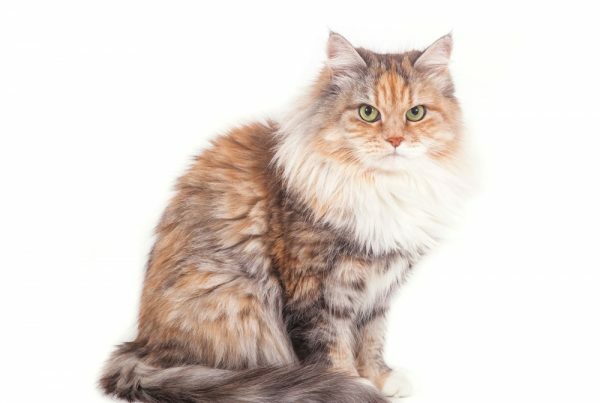 Quite distinguished from the traditional Siberian cat is the Neva Masquerade, which is typically all white except for several “points” of black, grey or brown on its paws, face and ears. This type of coloring is referred to as “colorpoint” in the cat world. Its blue eyes are also a distinguishing characteristic as most traditional Siberians have green or yellow eyes. Where did the Neva Masquerade Come From? Neva Masquerades were the result of cross breeding between Siamese and Siberians in Russia in the 80s. Their name comes from the fact that they were bred along the Neva river near St. Petersburg, which was where a lot of masquerade parties took place. The black/grey coloring on the Neva Masquerade’s face resembles the mask worn by attendees of masquerade parties (think of The Phantom of the Opera). Some sources claim other breeds such as Birman, Himalayan and Balinese were bred into the Neva Masquerade as well, but that remains unclear. 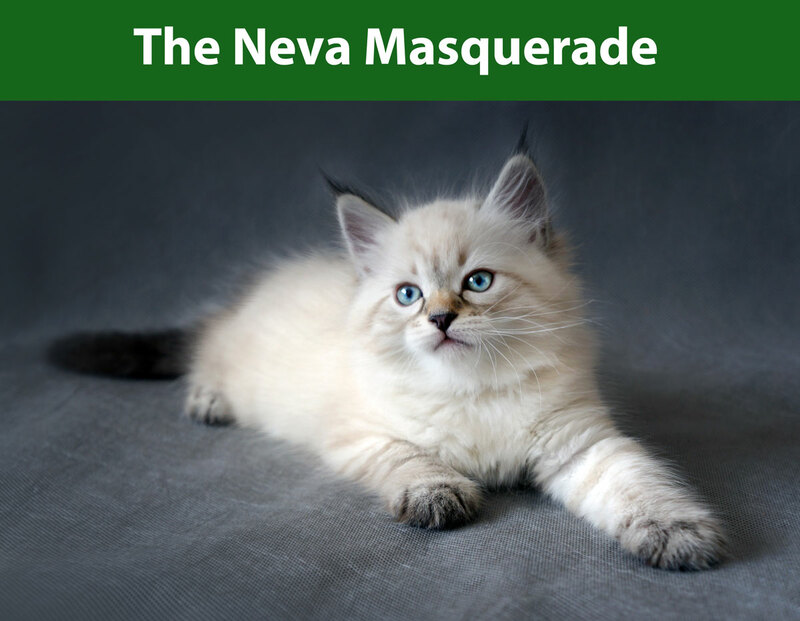 Indeed the Neva Masquerade is a gorgeous cat, and some breeders will exclusively breed this cat due to the high demand for its unique appearance. Perhaps the initial crossbreeding with Siamese by the Russians held this same intention; to capture the fine coat and physique of the Siberian and the blue eyes and colorpoint of the Siamese. Former Russian President Dmitry Medvedev owned a well-known Neva Masquerade named Dorofei, who was crowned the title of “First Pet” in 2008. Neva Masquerades have even been given as diplomatic gifts by Russian officials. Vladamir Putin was reported gifting one to a Japanese governor, and Dmitry Medvedev giving one to the former Finnish President. 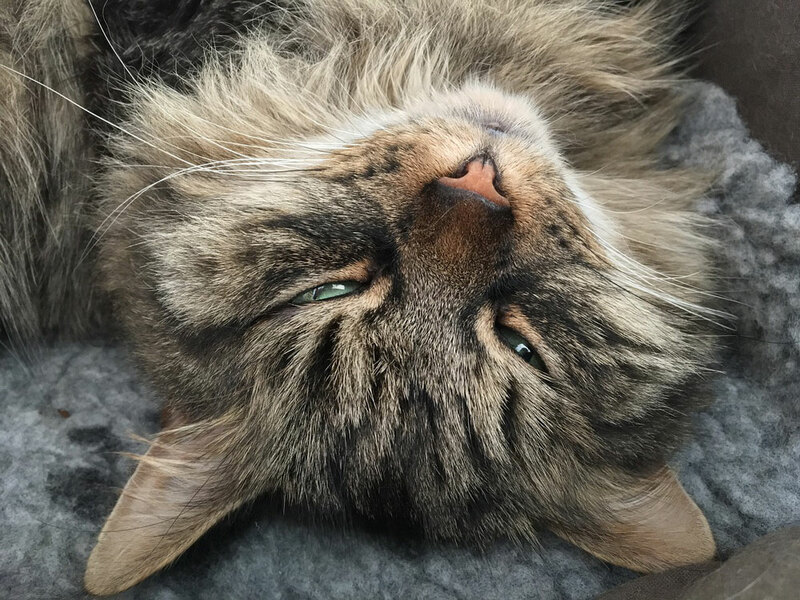 Although the Neva Masquerade shares most of the characteristics of a traditional Siberian (including physique and personality), they have a few distinct attributes that make them special. They lack the enzyme tyrosinase, which is responsible for production of the pigment melanin, resulting in their white body. While some have black, grey or brown paws as part of their colorpoint, others may have white paws in spite of their dark face and ears. Because Neva Masquerades are a cross-breed there is some dissension as to whether they are true Siberian cats or their own breed. 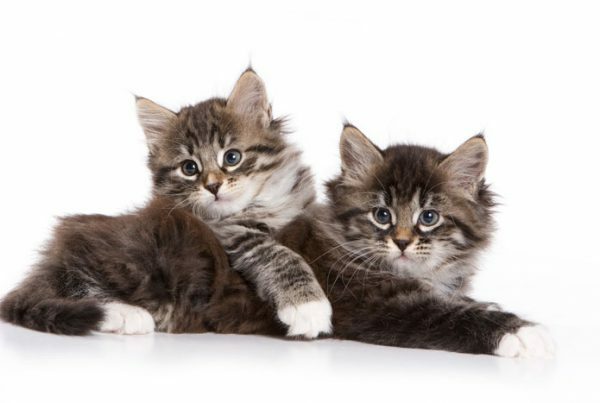 Some of the largest cat shows present them as a color variety of Siberians, while other organizations claim they’re a separate breed and even a threat to the purity of the Siberian breed. This argument stems from the fact that colorpoint is not present in the oldest and purest Siberian lines, which were free from human manipulation and observed in wild Siberians just a few decades ago. Are Neva Masquerades Bred with Traditional Siberians? Some breeders insist on only mating Neva Masquerades together to retain their distinguishing colorpoint, while others will breed one with a traditional Siberian to create more unique patterning and coloring. In short, yes. Siberians as a whole will differ in their Fel-d1 levels (the protein that’s responsible for allergies in humans), and the Neva Masquerade is no exception. While it’s logical to think that the breed would have higher allergens due to being a crossbreed, this isn’t always the case. Some Neva Masquerades that have been tested have shown extremely low levels of Fel-d1, while other have shown high levels. 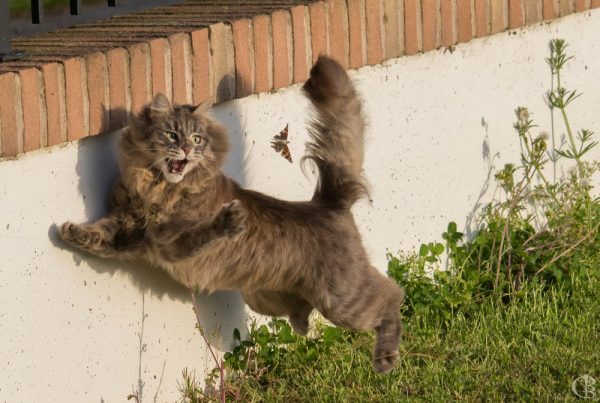 Again, it depends on the cat. Seal Point & Seal Lynx Point: A cream/white body with dark brown or black points and can have white paws. Silver Blue Lynx Point: Off-white/white body with blueish/grey points with stripes and can have white paws. Blue Point & Blue Lynx Point: Cream body with blueish/grey points and can have white paws. Seal Tabby Golden Shaded: Cream/apricot body with beige/brown points.